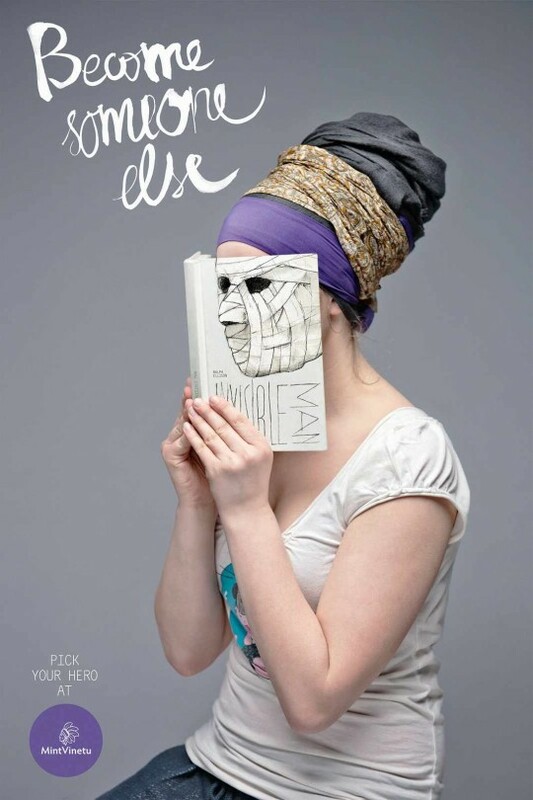 There have been many ad campaigns playing with book titles, but this series of ads for the Oslo bookshop Norlis is particularly timely. We are getting distracted by the digital world. The best way to get focused again is to disconnect and read a good book. Why not tell it by the books themselves? 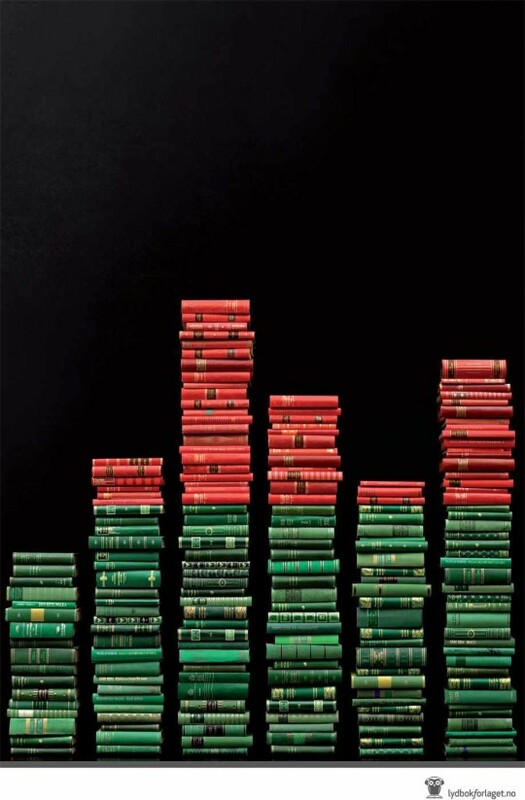 This brilliant ad reminds to read more books. Made for Book Day, but works anytime, anywhere. Just look at the stack of post-it notes, and you’ll remember what to do. 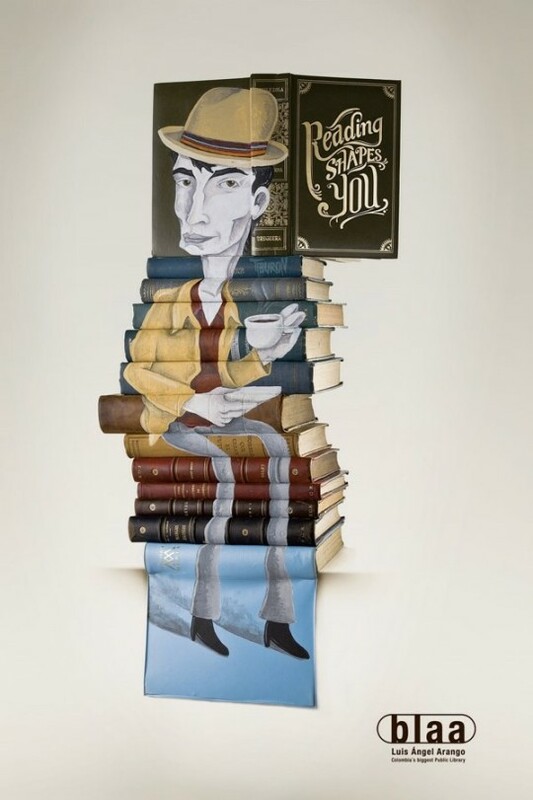 These ads for Colombia’s biggest public library Luís Ángel Arango resemble great book art by Mike Stilkey, to support a tagline “reading shapes you”. 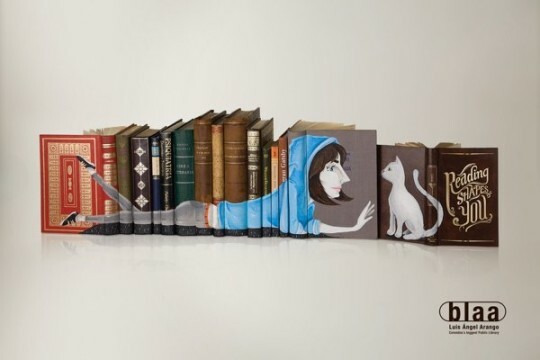 Books have the wonderful power to take you to another world and escape daily problems the moment you open them. This benefit is perfectly visualized by this series of ads. The opened book and the Penguin logo are more than enough to get to the point. 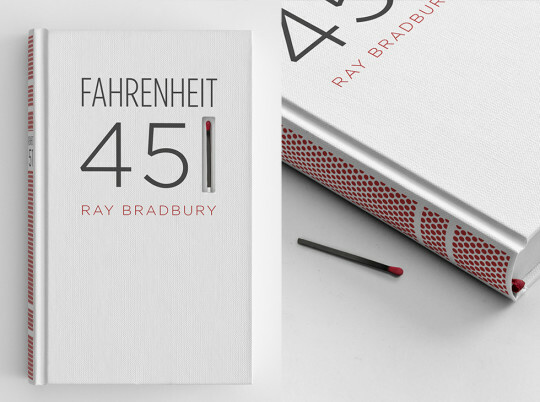 The idea puts the book-burning message of Fahrenheit 451 to the book itself. There is one match – matching number 1 in the title. There is also a matchbook striking paper on the spine of the book. The book seems to tell its reader: You can burn me if you want. The choice is yours. 6. And you, why do you read? 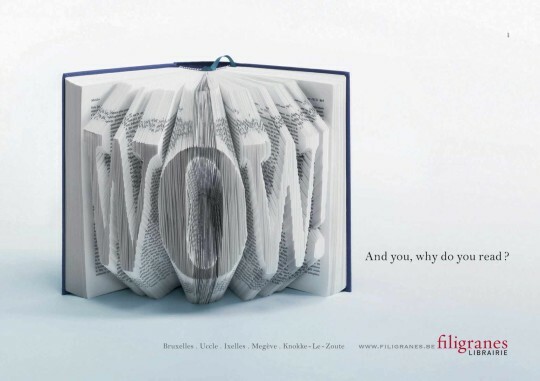 Does this campaign for Filigranes bookstore look familiar to you? The idea is originated from the fascinating, well-known book art of Isaac Salazar, who carves words into the pages of old books. Wow! Hahaha! Yeaaah! And you, why do you read? 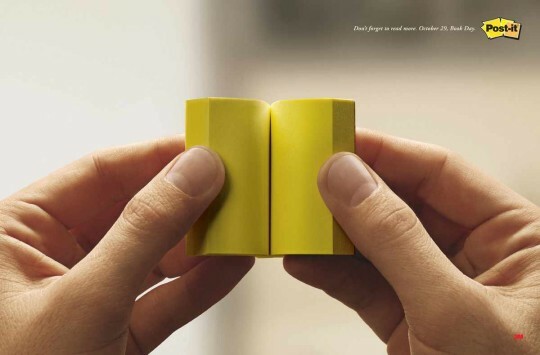 The idea to literally visualize the thought “the right book will always keep you company” is what makes this campaign hilarious and memorable. Made for Steimatzky Books, working in every bed. 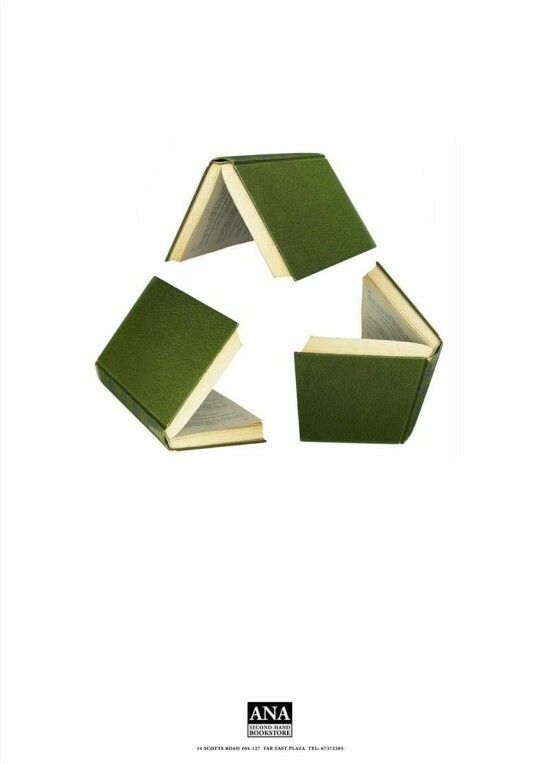 A self-explanatory idea for a Singapore bookstore that offers used books. 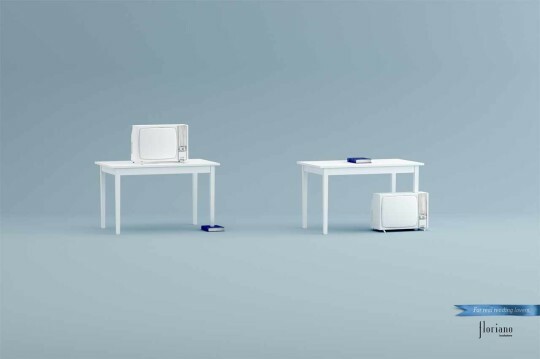 With a tag line “for real reading lovers” these funny print ads convey a simple idea: it’s time to bring books back to their original purpose. 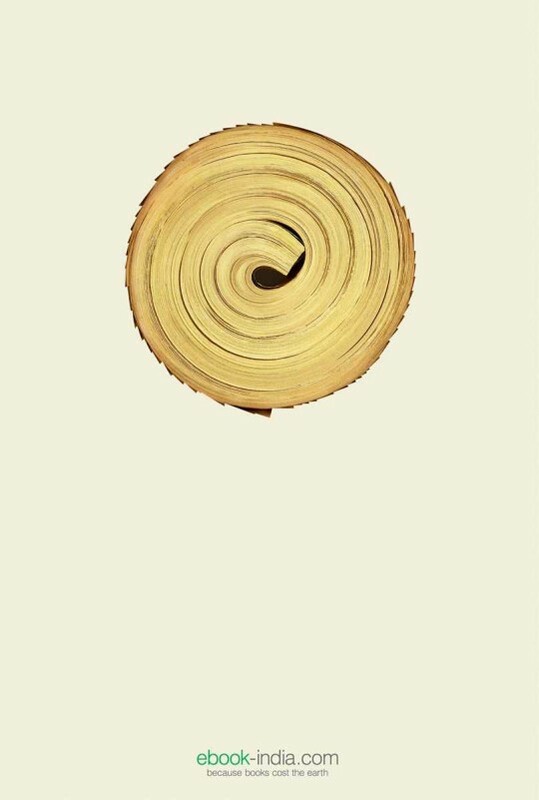 This is a series of minimalist print ads for a brilliant book, Life in 5 Seconds, created and published by a Milan-based advertising studio H-57. 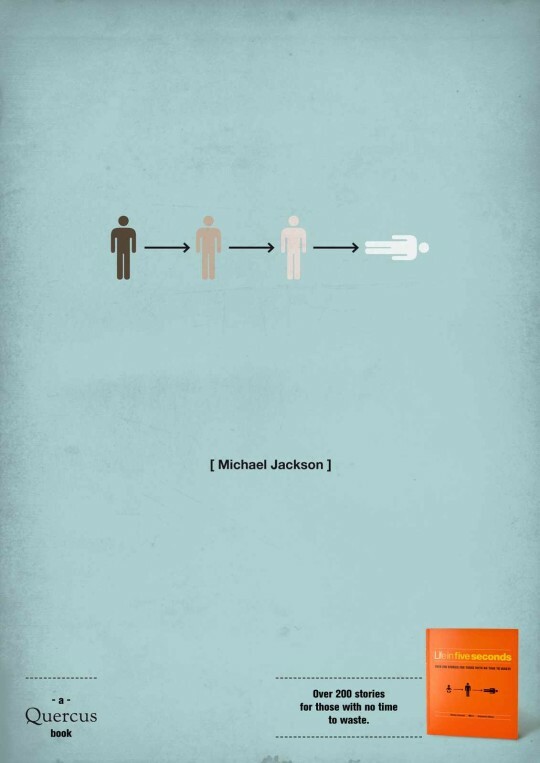 In the book, over 200 stories and persons are described in a series of pictograms. Following each story won’t take you more than 5 seconds. 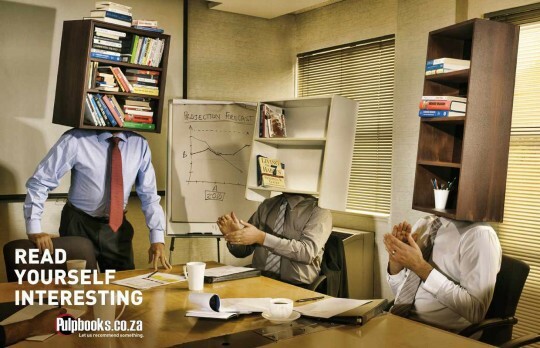 The ads are the essence of the book. The ad for Lydbokforlaget, a Norwegian online store with audiobooks. All you have to do it to buy an audiobook and pump up the volume. 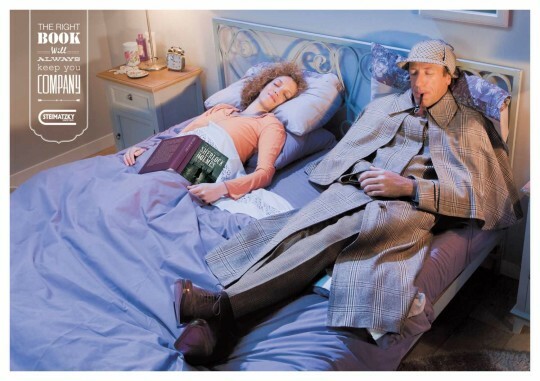 Here is another example of the ad for audiobooks. 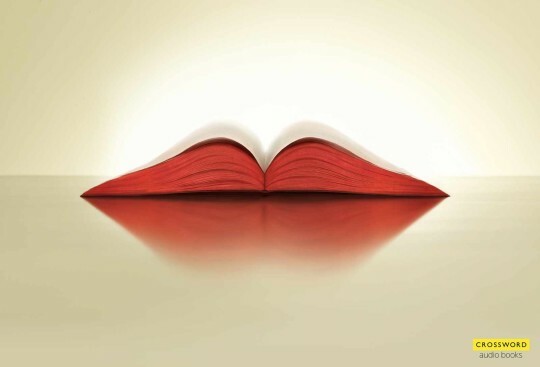 Crossword bookstores visualize the words – spoken. 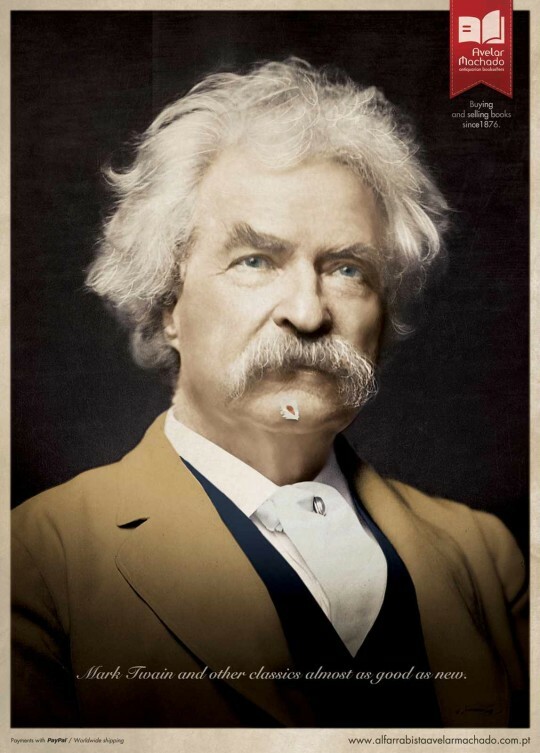 A series of imaginative print ads for Stories! bookstore show that if you read books you at the same time live two lives – and that this is happening instantly. The ebook company from India doesn’t exist any longer, but the poster has a universal message, highlighting one of the most important benefits of ebooks. Why has this campaign for Mint Vinetu bookstore become extremely popular in social media? 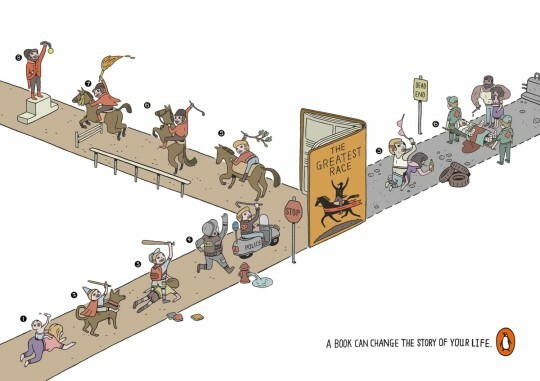 Because it creatively describes one of the most desired benefits of books: they can make the reader someone else. Pick your hero at Mint Vinetu… or any other bookstore around the world. 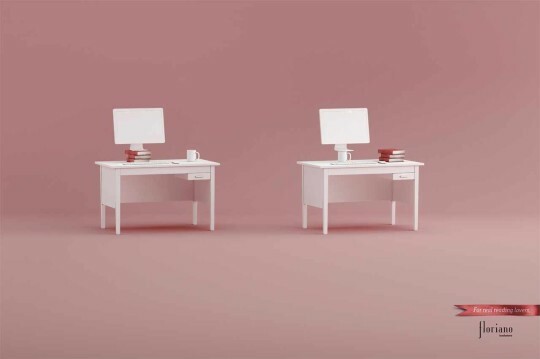 Created for Penguin China, the campaign successfully attempted to describes one’s life in a single picture. 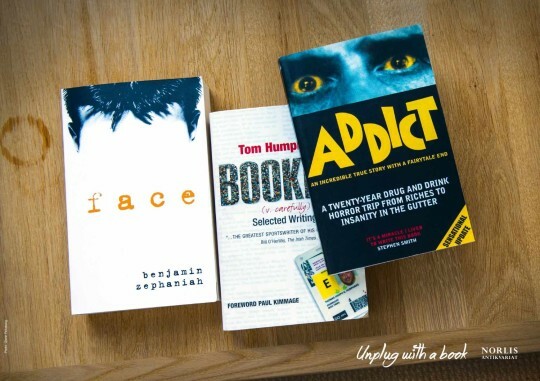 Books can change life for the better. The illustrations were made by Bruce Xie. 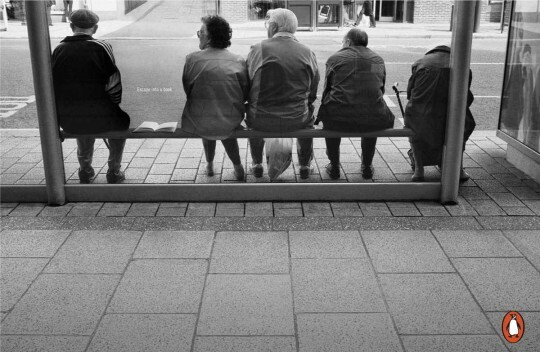 Analyze them in detail - and maybe you’ll find here the story of your life. 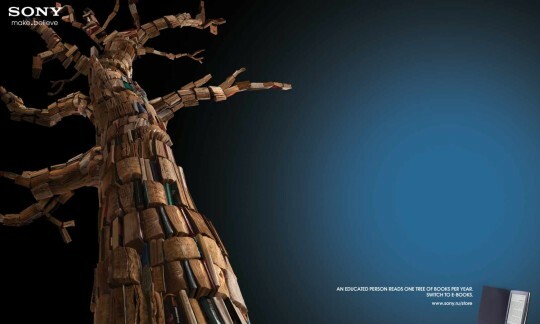 This series of print ads for Avelar Machado bookstore, offering used books, is fantastic. You’ll just have to take a closer look at the photos to get to the point: books at Avelar Machado are almost as good as new.